ChiropractorNext.com offers both free (basic) and paid (Professional) profiles for chiropractors. Getting listed will get you found by patients who are looking for your services. Join our network of over 7,000+ chiropractors and grow your practice. We are a try-before-you-buy site with no risk. Try us free. If you start getting referrals then you can upgrade. You can see your messages and decide. Our membership fee is very low at ($9.95/mo). It's simple, risk free, and no credit card is required. Your profile is a powerful marketing tool to grow your practice. Individual web sites are often missed by Google and other search engines, but our profiles are optimized to get found in Google and Bing, and patients will search directly on our site and find you. You improve your Google ranking, gain powerful marketing, and get contacts from potential patients. •How many patient referrals will I get? •I already have my own individual web site for my practice. 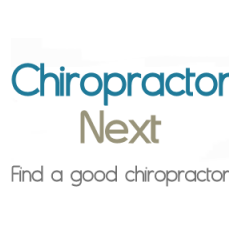 Why should I create a profile on ChiropractorNext? No, your email will not be visible on your profile. Patients can contact you by using the Send Message link on your profile. Our system then privately forwards the client's message to your email address. And of course, clients can always call you. You get your own profile blog to share your experience and advice. Posting in your profile blog improves your rank in Google and Bing and attracts more potential patients. Login to your Control Panel to post and manage your blog. You can post professional and news articles on your profile. Posting articles to you profile increases your reputation and attracts more potential patients. Login to your Control Panel to post and manage your articles. You can post events on your profile. Google and Bing will find these and they'll get you more contacts from potential patients. Login to your Control Panel to post and manage your events. You can easily post discounts and offers on your profile. Your profile has more features than many websites. In addition, your discounts and offered will get found on Google and Bing you'll get more web exposure and potential patients. Login to your Control Panel to post and manage your discounts/offers. •How can I make my profile more effective to attract more patients? Potential patients will contact you right from your profile. Get phone calls from potential patients. Get emails from potential patients. Display recommendations from patients or colleagues.